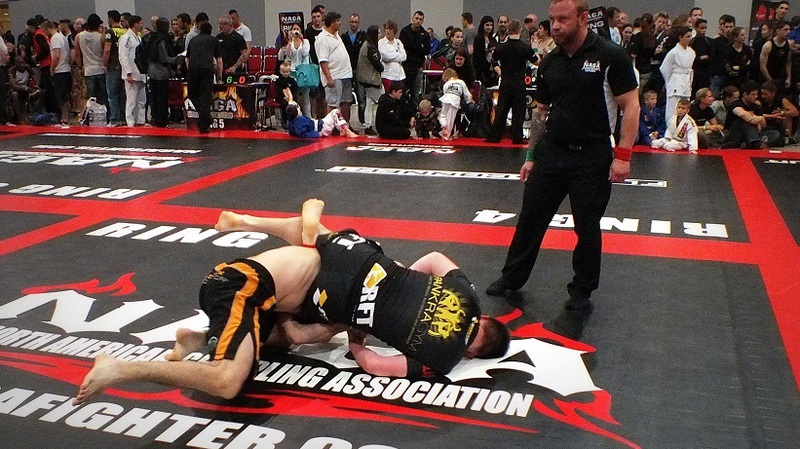 On 24th July 2014 the NAGA Germany 2014 was held in Dortmund. About 600 participants from USA, Brazil, Germany, England, France, Italy, Poland, Portugal, Russia, Switzerland, among others took part in this internationally renowned event. The RFT Germany Team put on a team of seven Luta Livre fighters. For the second time in less than a year, the Renovação Fight Team rises to the podium of the NAGA. Here Florian Affeln and Marcel Wulfhorst could secure one gold medal each and Georg Dismer a silver medal. Another three fourth places also went to the team. 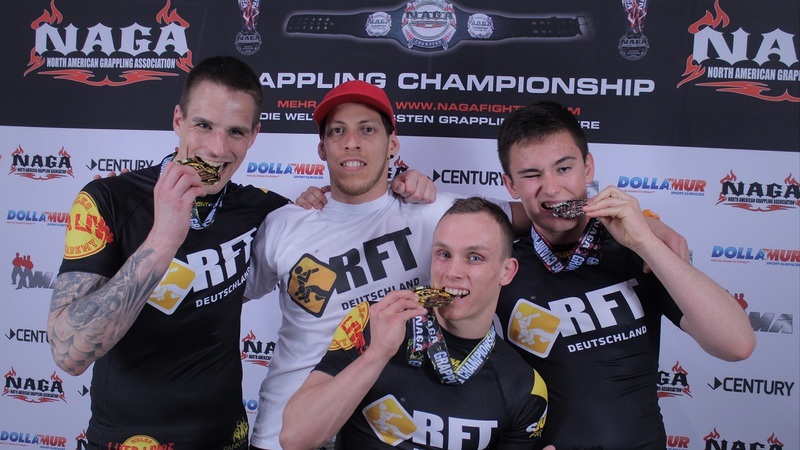 National Trainer and coordinator of the RFT Germany team, Nico Welko, was very satisfied with his team's performance and manifests "[...]the NAGA was primarily the possibility to revise the performance for some of our fighters on an international level. I am very satisfied and today's results were the proof that we are on a good path". In Brazil, the news was welcomed and Head Coach of Renovação Fight Team, Marcio Cromado, commented "These successes are precious for our team. I am firmly convinced that the work carried out in our new academy in Europe is done with extreme responsability. I would very much like to soon announce new talents from Germany to the World". He also brings to mind that not long time ago the coordinator of RFT Campo Grande, Andre Marinho, became a champion in his division at the NAGA-Monaco. The RFT Germany team is looking confidently to the future and looks forward to further success. We thank our current partners Welko Academy, PankraGym, HiveFilms and SMIDO.